The annual conference organized by the EPMA European Powder Metallurgy Association – Euro PM 2017 – was held in Milan’s MiCO – Milano Congressi, the largest convention center in Europe, from October 1st through the 5th. Euro PM offers a broad panorama of themes linked to powder metallurgy, and each year the most authoritative exponents of this industry meet together for this event. 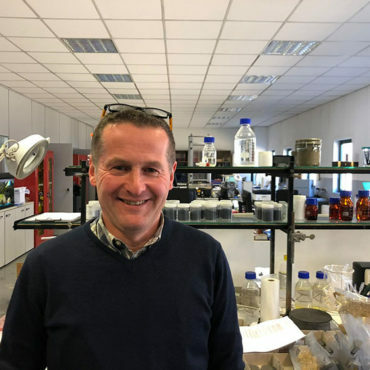 As a member of the Technical Organizing Committee, Dr. Gian Pietro De Gaudenzi, the powder production manager at FILMS, helped plan the conference program and also served as co-chair during a session focused on hard metals. During another session, the FILMS delegate presented an essay entitled “Electrochemical studies on the behaviour of WC-Co hard metal as a function of cobalt content and environmental pH”, which was well-received by the participants. A variety of initiatives characterized this year’s conference, which concluded with visits to companies and universities. 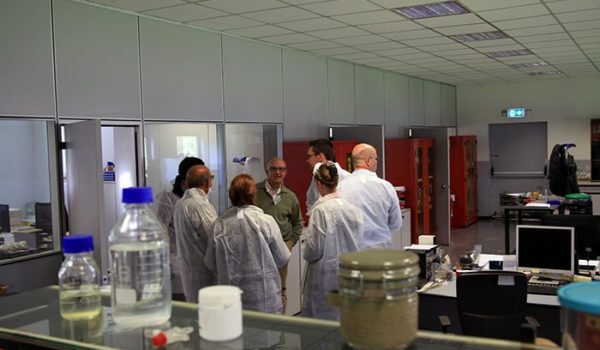 A group consisting primarily of representatives from research institutes, consultants, managing directors of competitor companies, and potential clients visited the FILMS plant in Anzola d’Ossola. This moment provided yet another opportunity to network and share know-how. 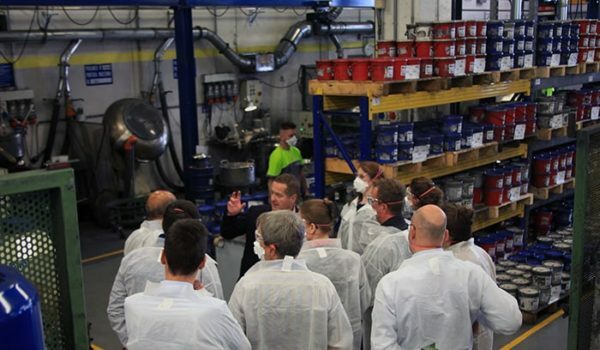 FILMS, the main company in the OMCD group, welcomed the visitors to its plant and guided them on a tour which encompassed every stage of the production cycle. 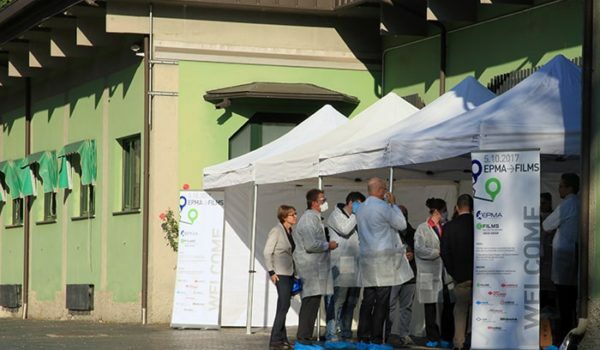 The company provided a cultural and historical background for the visitors before they entered the heart of production: before touring the plant, the delegates visited the entire industrial district in Anzola d’Ossola. This visit served to introduce and provide a context for FILMS’ place in the OMCD group’s orbit, which is an industrial, family-run reality whose roots are well-entrenched in the VCO province. After a brief tour, the delegates were welcomed with a coffee break and then divided into two groups, so that they could get a close-up view of the various production stations. 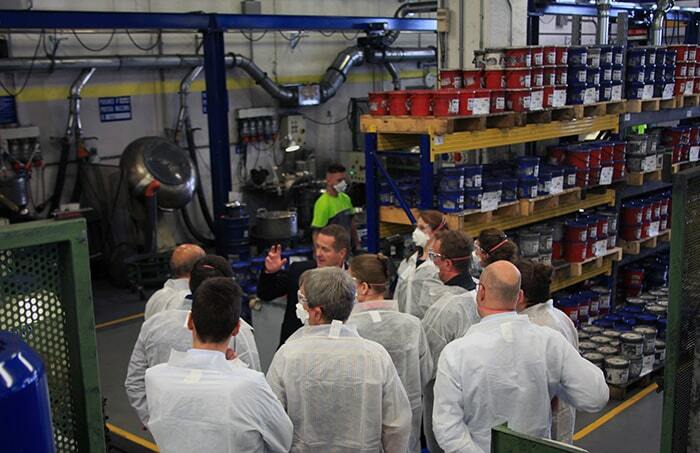 They started out on the guided tour of the firm after receiving the necessary PPE (Personal Protective Equipment) packets. 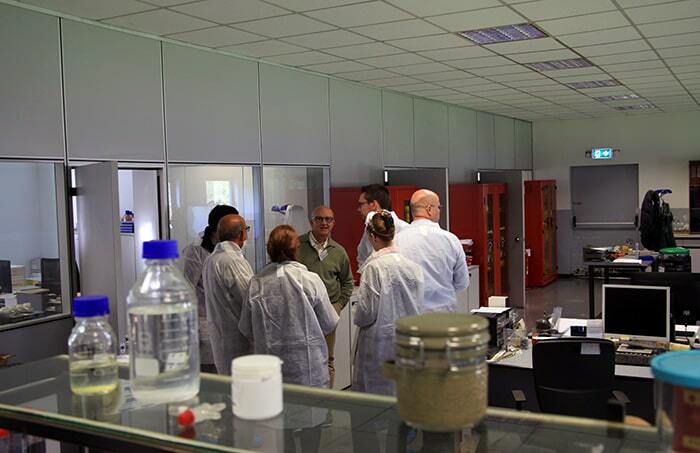 During the visit, various production managers provided detailed explanations, offering a valuable opportunity for those working with materials – like the researchers and other scholars from this sector who made up 80% of the delegation – who have few opportunities to get a close-up look at this industry’s various practical applications.